Fleur East‘s much anticipated debut single, ‘Sax’ has hit the digital retailers on Friday and how is it? Find out after the jump. YES! YES! and YES! Fleur has done it. The song is fresh, funky, huge and definitely dance floor ready. The anthem is laced with heavy synths and the incredible saxophone breakdown on the chorus. The lyrics are brilliant and the metaphor used makes the song ridiculously amazing. The song sees the X Factor runner-up rap during the verses until the song builds up into a massive pre-chorus. The transition is just crazy. The brassy chorus just takes it to a whole new level. It is catchy and it stucks in your mind. Although you can tell it is a sister to Mark Ronson & Bruno Mars’ smash hit, ‘Uptown Funk‘, but ‘Sax’ absolutely holds its own. This is one of the best debut singles ever to emerge from any X Factor alumni. Currently, the song shot straight to top 5 on the UK iTunes Chart and she is set to perform it on the X Factor stage tonight. Hopefully, the performance will help the song generate sales even more. SMASH!!! 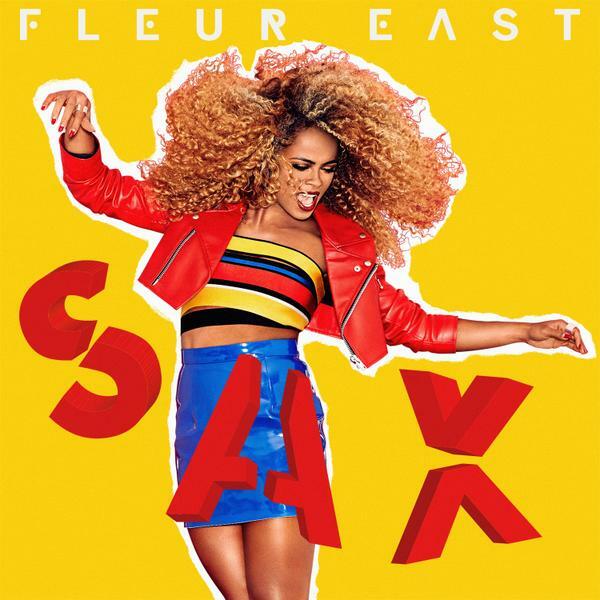 ‘Sax’ is taken from Fleur East’s debut album, ‘Love, Sax and Flashbacks‘ set for release on the 4th December. You can purchase your copy of ‘Sax‘ on iTunes or stream it on Spotify.